HMMH has provided consulting assistance to the City and County of Denver related to a broad range of issues at Stapleton and Denver International Airports since 1988. 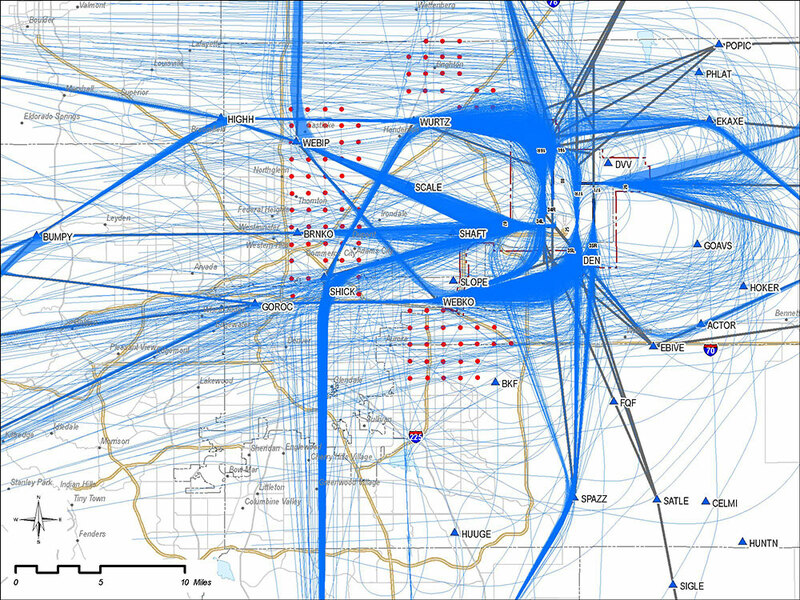 HMMH worked with the City and County of Denver to provide environmental review of FAA-proposed Area Navigation (RNAV) and Required Navigation Performance (RNP) routes. In 2009 through 2012, HMMH worked with airport and FAA staff to assess the expected noise associated with the proposed procedures, using aircraft performance characteristics to modify an 82-day sample of radar data as if the individual aircraft had actually flown the new RNAV procedures. The arrival route changes were implemented in December 2012 and the departure route changes were implemented in March 2013. 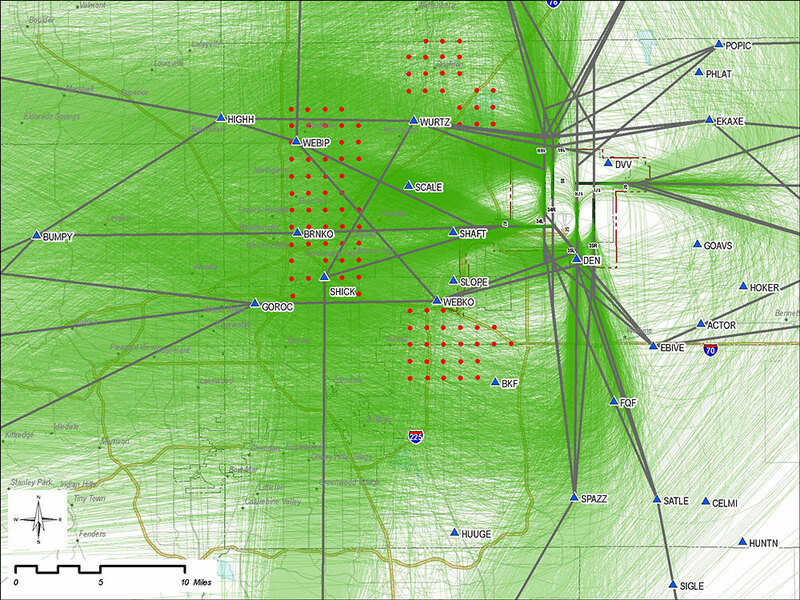 Since then, annual computer modeling and monitoring have indicated that the noise changes have been acceptable at the 101 key locations, despite areas of concentrated flight paths. In late 2015, FAA provided the City and County of Denver with a proposal for further changes. HMMH has continued to support the City and County of Denver with this latest review. The process described above was repeated with a 6-month sample of radar data, carefully selected to capture the inclusion of certain operational changes made after March 2015. Modified radar data based on aircraft performance and new waypoints that HMMH prepared to represent the FAA’s proposed RNAV procedures.